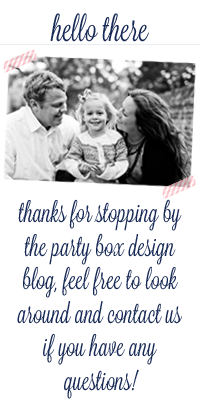 Party Box Design: Dos and Don'ts for Wedding Guests! 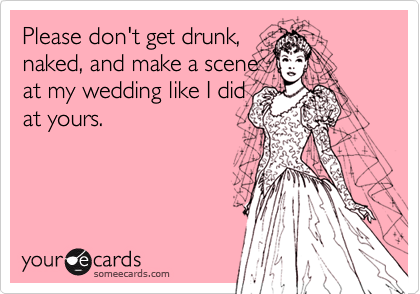 Dos and Don'ts for Wedding Guests! 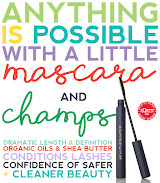 Hello again to all you fabulous PBD readers out there! It's me again- Jackie Fo from Jackie Fogartie Events. I hope everything is going smashingly in your world. I know you're getting excited for summertime. Personally, I love the cookouts, crisp white wine, farmers markets, late night dinners outside and all the fun summer has to offer. Along with warm weather, the summer also brings wedding season! As someone who is knee deep in the crazy, wild world of wedding planning, I thought I'd share my Do's and Don'ts tips for wedding guests so you can be on your best behavior at your upcoming summer nuptials! First up - The Dos! 1. 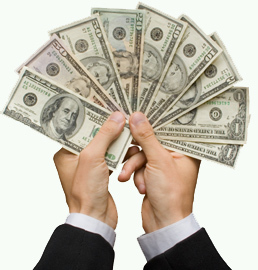 Cash as a wedding gift - you bet your bottom dollar this is a major do! People get funny about giving cash as a present; I've even heard the term tacky, and I wholeheartedly disagree! Growing up in an Italian-American family, giving cash as a gift for special events is commonplace. I'm pretty sure I had cash to my name as soon as I came out of the womb, and that's no joke. Baptisms, graduations, weddings - you name it, you got cash. So I don't think it's weird, and neither should you! 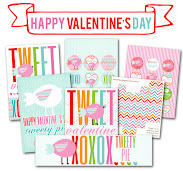 Put your cash in a pretty card, write a personal note, and call it a day. If you're stuck on the amount, just think about what you would spend on a gift for the couple. If you'd spend around $50, give them $50, and so on and so forth. I promise you, they'll be pumped to get some cold hard cash on their wedding night, and you won't be stuck with whatever boring item is left on their registry. Another perk to giving cash - you're not awkwardly dragging a ginormous gift to the wedding, and the bride/groom don't have to deal with it either. This one seems pretty obvious, but I've decided that the human race as a whole is just not good at responding to invitations. This is quite the problem for a wedding because the wedding hosts are paying for your food and need to give a headcount to the caterer/bartender/venue/pretty much everyone involved. So send your (NORMALLY PRESTAMPED BTW!) 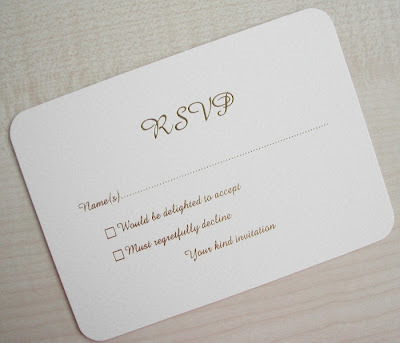 RSVP card back and don't let it get lost under your pile of junk mail. If you feel so inclined, write a funny note or smiley face on the RSVP card too - just for kicks. Then you've doubly succeeded- you've responded, and you've made the wedding host laugh. Kudos to you. 3. For reals people - be on time for the ceremony. Maybe you're just one of those "late" people...you're always running 15 minutes behind schedule. That's fine, we all have our flaws. But try to lock it up for a wedding ceremony, okay? Every wedding there's one awkward moment where a latecomer has to come down the aisle post bridal procession - not cool latecomer, not cool. Not to mention that you are destroying the wedding planners (AHEM, ME) timeline, which leads to unneeded stress. Stress leads to wrinkles...do you want to give the wedding planner wrinkles? I didn't think so. So if you're going to be at all punctual this summer, do it for a wedding, okay? Now for the Don'ts - because really, aren't these the most fun to talk about? 1. Don't eat dessert before the cake is cut. Even if there's a dessert table that's calling your name. And you think no one is watching you. And don't you even think about touching that cake. 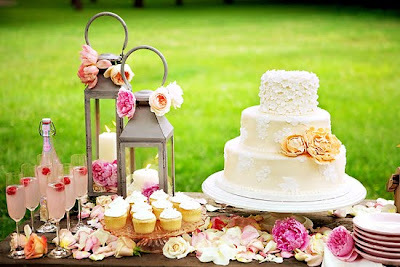 Dessert tables have been all the rage at weddings over the past few years. I know the desserts look beautiful and scrumptious. And maybe you're hungry waiting for that buffet line to be opened up, but come on people - don't touch the desserts before they cut the cake! The dessert table is meant to be a part of the decor, it's a beautiful display that was set up perfectly for your visual pleasure. So once someone picks up a macaron here, and a mini cupcake there, the whole design is off. So don't be a Rudey McRuderson...wait your turn and LET THEM EAT CAKE to quote Ms. Antoinette! Eat dessert after dinner like your mama told you! 2. NO WHITE DRESSES. UNLESS YOU'RE THE BRIDE! NO EXCEPTIONS! It saddens me that i have to include this on the list of Don'ts, but you'd be surprised. I know there are cute white dresses out there. There's eyelet, lace, strapless, maxi, you name it, they make it in white. But for the love of all things wedding, WHO WEARS A WHITE DRESS TO A WEDDING?! No. No. No. White dresses are for brides only, no exceptions. In fact, I'd stay away from ivory, off-white, cream and anything in the white family. Capish? 3. Don't be THAT girl. You know what I'm talking about. Another way to ruin a brides big day is to be THAT person. You know who I'm talking about. They're singing "SHOUT" just a little too loud, and dancing creepily with some stranger on the dance floor. There's no need for this. Please note - you are talking to Mrs. Good Time here, okay. I am always up for a drink, or three, but I know my limit. For goodness sake be somewhat responsible and don't make a scene. It's just not cool and there WILL be pictures and videos to prove it. And that lasts forever...scary. Extra precaution - there is absolutely no need to get on stage and hog the microphone...it's not karaoke night, it's someones wedding. And no fist fights over the bouquet. You'll all find your Prince Charming when the time is right. With this knowledge, I now release you into the fabulous world of weddings! I know you will be on time, have the proper amount of fun and not be THAT guest :) Have a blast! 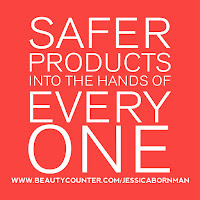 Thanks to PBD readers for reading and thanks to Jess for being simply fabulous as always. Good tips! Someone wore a white dress to my wedding. I saw her sitting in the back row when I was starting to walk down the aisle! Seriously?! Oooh! I still burn whenever I think of the girl that wore a formal white dress to my wedding over five years ago! (I’m allowed to now, she’s no longer in the family picture) Great tips! Lol, I once wore a pink skirt with an off white top and well, I was mortified to see pictures of me standing next to the bride that were waste up only.